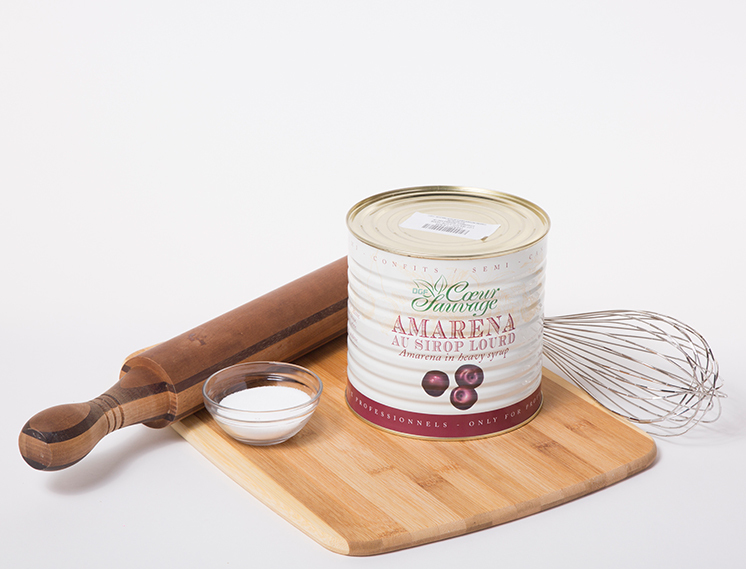 Amarena cherries are small, dark, and slightly sour cherries. Semi-finished product for ice cream and confectionery or upgrade your cocktail, replacing amarena cherry instead of maraschino. 60% whole glace cherries, 40% syrup.